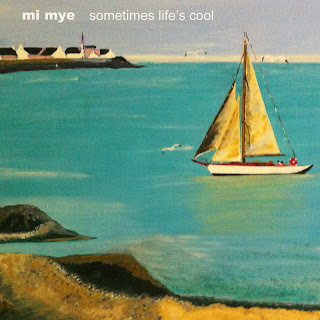 Mi Mye's new album - Sometimes Life's Cool - their fourth is released today on CD and Download. The CD can be found at Rough Trade, Norman Records, Debut Records, Sound It Out Records, Jumbo Records, Crash Records and Bandcamp. The download can also be found at bandcamp as well iTunes, Amazon, eMusic, 7Digital, Juno, Spotify etc, etc. You can also find Mi Mye's previous studio albums on their bandcamp page.